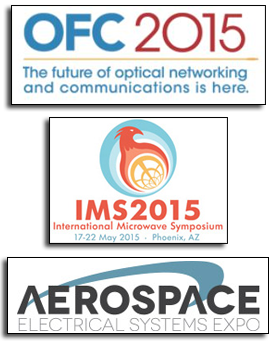 To automatically receive future editions of Thermal TEST News, SIGN UP HERE. Initially designed for a customer-spedific avionics application, this ThermoStream® provides high volume, low pressure, temperature controlled air. 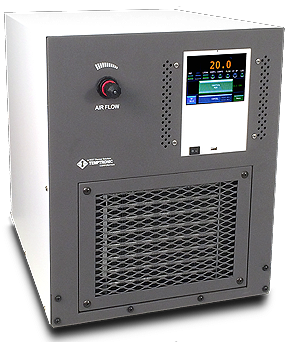 The system delivers up to 43scfm of clean dry air to condition a wide range of electronics modules and sub-assemblies. 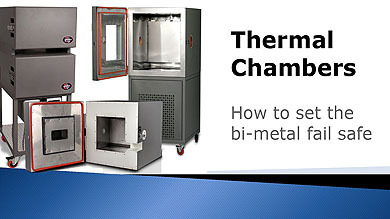 It is capable of cycling and holding at temperatures from 20 to 70°C with +/- 1.0°C accuracy. 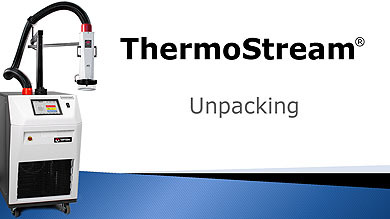 Watch this video to learn how to properly unpack a ThermoStream Temperature Forcing System. The primary fail safe is a bi-metal switch that will shut down the chamber in an over-temperature condition. the Thermal Products Segment of inTEST Corp, Mount Laurel, New Jersey, USA.